This 2 bed 2 bath downtown condo is the perfect location in Lockerbie with close proximity to the interstate for easy transit. Corner unit boasts lots of a natural light. Kitchen with granite counters, upgraded cabinets, and newer stainless steel appliances! Master bedroom with attached en-suite bath with walk-in closet. Gleaming hardwoods in living/dining room combo and upgrade lighting. Newer furnace, ac, and water heater. Washer/Dryer included. 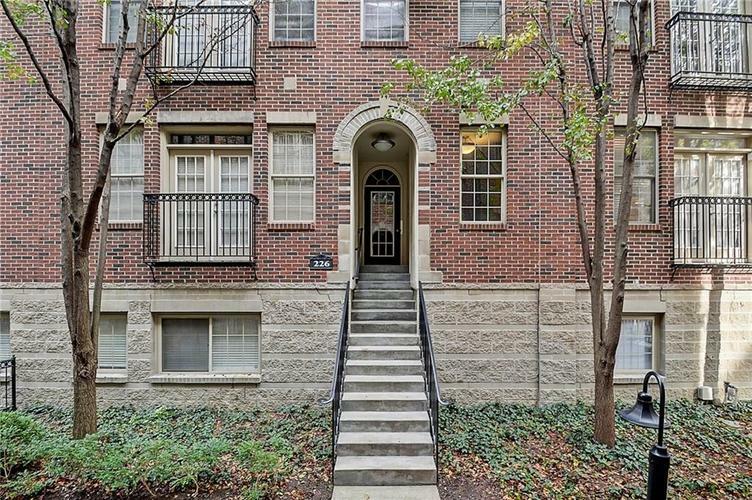 Gated, secured access with a beautiful common area between buildings. Close to restaurants, shopping, groceries, and nightlife! Directions:Access Cleveland St. from Ohio St. between East St. & New Jersey St. Metered parking on street.